After Hafeet Mountain, we stopped by a mosque for Asar. Pelik betul... musolla for women ada, tapi toilet / tempat wuduk takde. Mcm mana diorg wuduk?? Anyway, Mama & Busu just waited outside the tpt wuduk for men, and.... bila takde org je, cepat2 masuk & amik wuduk. Punyalah nak cepat, sampai terjatuh cermin mata busu ..haha. Anyway, our next stop was the Al Ain National Museum. 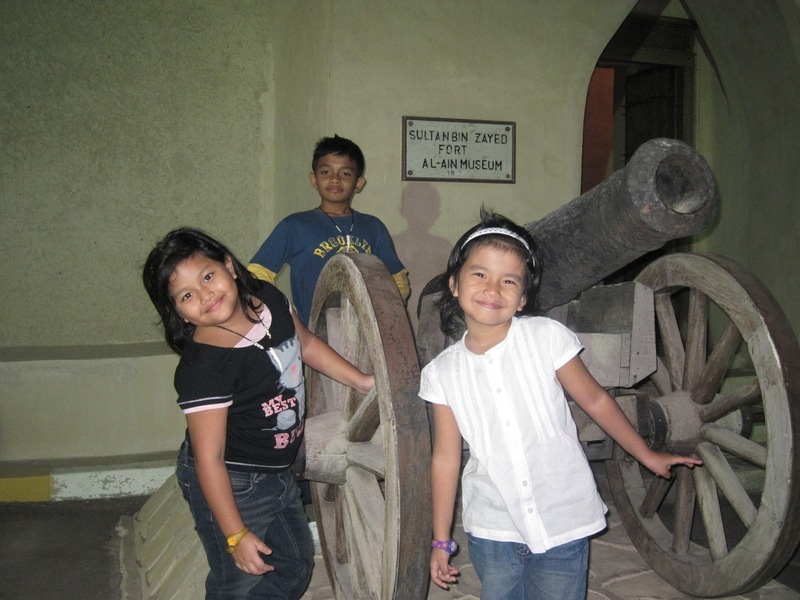 Museum ni is the oldest in the UAE, is located next to the Eastern Fort (or Sultan Fort). It was built by the former UAE President, Sheikh Zayed Bin Sultan Al Nahyan. 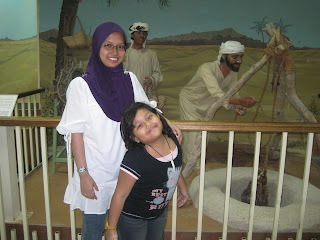 Sheikh Zayed sebenarnya asal dari Al Ain ni. The museum has two main sections on ethnographic and archaeological aspects of the country, especially around Al Ain. 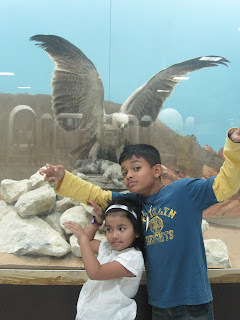 It includes finds from the Bronze Age tombs at the Hili Archaeological Park on the outskirts of Al Ain. And macam biasalah, sure ada FALCON. Falcon is the national bird of UAE and is a symbol of force and courage, recognizing the importance of falconry in Arab tradition and culture. Arabs constitute 1/3rd part of the world’s falconers. Falcons are fast flying hunters. They are also known as "THE HUNTING DOG OF THE SKIES"..